I had the second part of my bike fit today, actually riding my own bike. Turns out, my left leg is longer than my right one, and it was affecting my pedal stroke. I also have narrow feet and very collapsed arches. We tweaked a lot of things, added shims between my shoe and pedals, added orthotic inserts to my bike shoes, and more. Tonight when I was riding on the trainer, I started to feel some of those changes for the better. 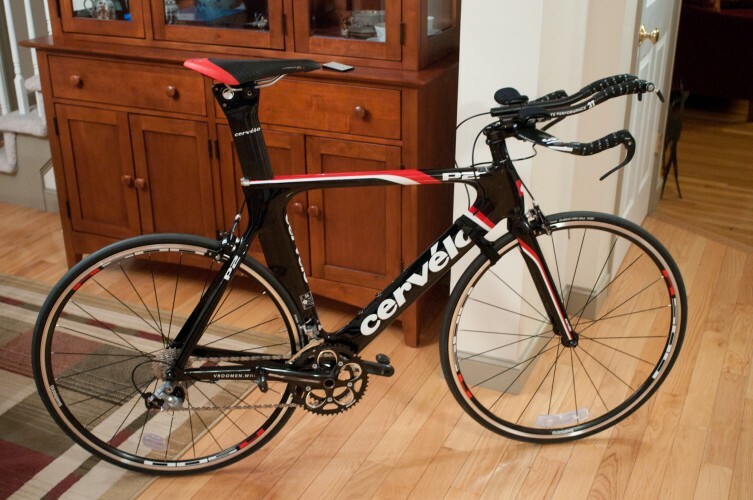 Tomorrow or Wednesday, I’ll swap out my road bike and my new one and give it a longer ride. And then there was the beam-signing at the office. We’re adding another building (and parking garage and traffic flow patterns and landscaping) to our campus after we’ve outgrown the other three. Everyone in the company was invited to sign the last structural beam before it was set into place this afternoon. Here are a few pictures. And as the last photo says, we’re still hiring. Why not apply? This entry was posted in Cycling, General, NaBloPoMo, NaBloPoMo 2011. Bookmark the permalink.